ID Camp is $150.00 and includes a shirt and lunch. Registration after January 31, 2019 will incur a $15 late registration fee. One and two day ID camps- the total amount of the camp is non-refundable 4 weeks prior to the start date of the camp. We understand injuries are part of any sport and are completely out of anyone's control. A player with an injury or illness that prohibits any athletic activity will require a letter from a licensed physician for any refund to be considered. 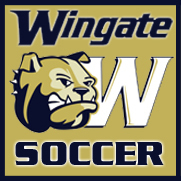 Please contact Amy in the office at info@wingatesoccer.com for further information.